Stoker 2nd Class Charles Edward Mafeking Gardner. His brother was killed in November 1917. H M Trawler Renarro (Skipper Simon Fairnie, Royal Naval Reserve) is sunk by a mine in the Dardanelles killing twelve of her crew including her skipper at age 38. Lieutenant William Stanley Jenkins crashes an enemy two-seater, and later destroys a Fokker, in addition to attacking enemy troops and transport with marked success. Major Edmund Hamilton Giffard (Royal Field Artillery) is killed in action at age 31. His has had two brothers who have been killed previously in the war. 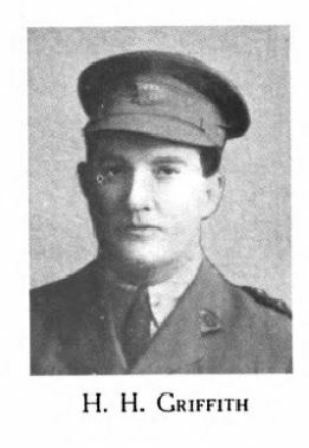 Captain Henry Maitland Maitland (Intelligence Corps) dies at Cherbourg of pneumonia following influenza. He is the son of the late Arthur Maitland JP and only brother of Brigadier General E M Maitland DSO (Royal Air Force). He is a regular contributor to the Bystander. Lieutenant Henry Harvey Dowse (Army Service Corps attached Royal Air Force) dies of wounds at Genoa at age 24. His brother was killed in August 1915 and they are sons of the Reverend Canon John Clarence Dowse Rector of Monkstown. Lieutenant Francis Edmund Storrs (Royal Naval Volunteer Reserve) dies of illness at home at age 35. He is the son of John Storrs Dean of Rochester. Second Lieutenant George Emerson Dowler age 25 and Second Lieutenant William Gordon Coulthurst (Royal Air Force) age 20 collide while on an offensive patrol, both pilots are killed. 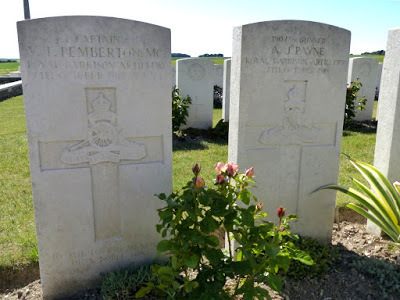 They are the only two British casualties of the war buried in Montbliart Communal Cemetery. Private Charlie Handcock (Australian Infantry) dies of pneumonia at age 39. His brother was killed landing at Gallipoli in April 1915. Sister Mabel Helen Whishaw (New Zealand Army Nursing Services) dies on service at home. Her two brothers have already lost their lives in the Great War. Lieutenant Frederick Stanley Gordon (Royal Air Force) achieves his last victory when he shoots down an enemy balloon over Quaremont. Lieutenant V Voss and Sergeant Ernest Antcliffe (Royal Air Force) achieve a victory over a victory a Fokker D.VII in their BF2b north of Beciers, while Lieutenant J Baird and Sergeant Charles Hill of the same squadron achieve a victory over a Fokker at Herquegnies. The Armistice between the Entente Powers and Turkey is signed at Mudros on the island of Lemnos. HMCS Galiano (Lieutenant Robert Mayes Pope RNCVR) goes down in the Pacific Ocean with a loss of thirty-eight officers and men. The wireless station at Triangle, British Columbia, receives an urgent message from Galiano requesting immediate assistance. A heavy southeast gale is raging in Barkley Sound at the time. As soon as the message is received, all ships in the immediate vicinity and approaching the direction of Galiano, are notified, but nothing further is seen or heard of her. Major Henry Wyndham Francis Blackmore Farrer MC (Royal Field Artillery) is killed in action at age 24. He is the son the Reverend Canon Farrer. He played for the Midlands Counties Rugby XV versus the New Zealand All Blacks and was wounded six times previously. Captain George Reinhold Barclay (General List, formerly Suffolk Regiment) is killed in action at age 36. He is the son of ‘Sir’ Thomas Barclay Kt. 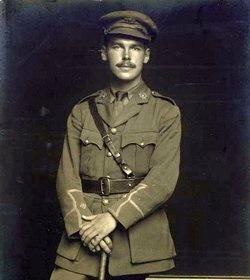 Captain Norman Langley Buckham (Royal Army Ordnance Corps) is killed in action at age 29. He is the son of ‘Sir’ George Thomas Buckham. Dentist and Lieutenant Jack Lindsay Doubleday (Australian Dental Corps) a former Australian rules footballer who played 43 games scoring 21 goals for University and Melbourne dies of influenza at sea en route to the front at age 28. Lieutenant Frederick Arthur Hamilton Sharp (Royal Field Artillery) is killed in action at age 24. His father was killed in August 1916 and he is the grandson of the Reverend J P Sharp. Second Lieutenant Augustus Paget DFC (Royal Air Force) is killed in action in Italy at age 20. He was a three-time victor over enemy aircraft, brought down one enemy kite balloon and sent one machine down out of control before his death. Two of his four brothers have been previously killed in the Great War. Sapper Walter Henry Nudds (Royal Engineers) is killed in action at age 20. His brother died of wounds in July 1916. Writer 1st Class Herbert Francis Prior (HMS Pembroke, Royal Navy) becomes the last of six brothers to die in the service of their country when he dies at Chatham. 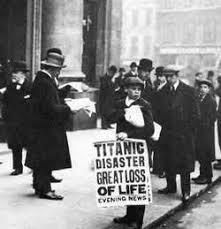 Four of his brothers were killed in the Great War while the eldest was accidentally killed in 1912 while serving on HMS King Edward VII. Private Arthur Edward Lewis (Canadian Machine Gun Corps) dies of wounds at age 46. He is the son of the Very Reverend Evan Lewis the Dean of Bangor. Private Daniel Munn (Highland Light Infantry) dies of wounds in Baghdad at age 34. He is the last of five brothers to be killed in the Great War. Private Stephen Alfred Twyman (Labour Corps) is killed at age 38. His son will be killed in October 1940. The 1st Middlesex Regiment is ordered to assault German positions near Montay located in the forest. They capture 200 German prisoners but suffer heavy casualties themselves. Lieutenant Alexander Charles Thomas Kroenig-Ryan (Middlesex Regiment) is killed at age 24. He is the son of the Reverend Alexander Solomon Kroenig-Ryan Vicar of Parkeston. Sergeant Alfred John Emery (Middlesex Regiment) is killed at age 31. His brother was killed in April 1915. The 2nd Bedfordshire Regiment in position at Le Cateau is ordered to attack an objective known as Richemont Hill. The attack made across high ground causing many casualties in the battalion. Private Augustus Webb (Bedfordshire Regiment) is killed at age 29. His brother was killed in November 1916. Private James Knibbs (Bedfordshire Regiment) is killed at age 29. His brother was killed in April 1917. Private Robert Christopher Prentice (Bedfordshire Regiment) is killed. His brother died of wounds in March 1917. Captain Roy Edward Dodds (Royal Air Force) successfully leads a bombing formation home intact from Leuze in failing light while under attack from ten Fokker biplanes, three of which his formation brings down. Second Lieutenant James Herbert Grahame (Royal Air Force) while on a bombing raid to Hirson railway junction, although late in the afternoon with the visibility very poor through heavy ground mist, obtains two direct hits on the railway, one of which causes a very large fire. Communications are lost with the submarine G7 (Lieutenant Commander Arthur Campbell Russell) during a North Sea patrol. A week later she is declared lost. The “Passage of the Piave” during the final Battle of Vittoria-Veneto begins. It will end with the Armistice of 4th November. Major Walter Balfour Barttelot DSO (Coldstream Guards) the 3rd Baronet and former military attaché at Teheran is murdered in his bed by a jealous husband in Tehran Persia at age 28. His brother has been the first Royal Navy officer killed in war in August 1914. He succeeded to the title of 3rd Baronet Barttelot, on 23rd July 1900, after his father, ‘Sir’ Walter George Barttelot, 2nd Baronet, was killed in action during the South Africa War and his son will be killed in action as a Brigadier on 16th August 1944. Captain Thomas Walter Nash DFC (Royal Air Force) is killed at age 26. He is an 8-victory ace. 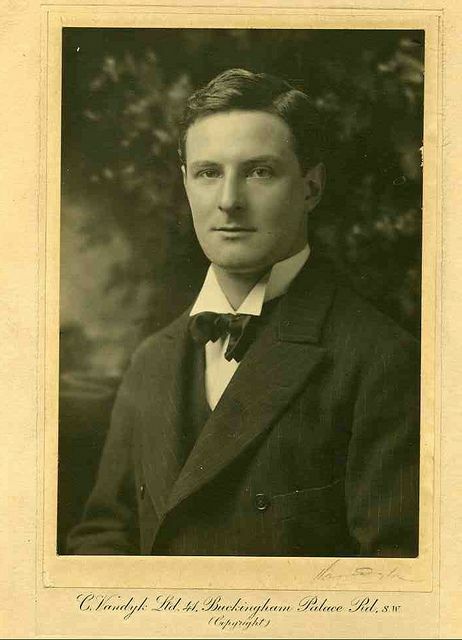 Captain Frank Oswald Spensley (Royal Army Medical Corps) dies at home at age 39. He is the son of the Reverend James Spensley. Captain Hector Charles Seymour Munro MC (Seaforth Highlanders) is killed in action at age 23. He is the son of ‘Sir’ Hector Munro, the 11th Baronet. Captain Eric Victor Morse MC (West Kent Regiment) is killed at age 26. His twin brother was killed on 7th December 1917. Lieutenant Alfred James Baddeley (Sussex Regiment) is killed at age 19. He is the brother of the Reverend Walter H Baddeley. Captain Kenneth Carlyle Gill MC (Cambridgeshire Regiment attached Royal Air Force) dies of injuries received as a result of a flying accident the previous day at age 28. He is the son of the Reverend Arthur Tidman Gill. Lieutenant William Huntriss (Duke of Wellington’s Regiment attached Gold Coast Regiment) is killed in Ghana at age 32. His brother was killed on the first day of the Battle of the Somme. Lieutenant William Norman Stubbs (Cheshire Regiment) is killed in action at age 21. He is the son of the Reverend Frederick William Stubbs Vicar of Arbury. Lieutenant H W Trelawny (Duke of Cornwall’s Light Infantry) is killed in action at age 20. He is the son of the Reverend Frank E Trelawny. Lieutenant Osborne John Orr (Royal Air Force) a five-victory ace is killed in action at age 23. Sergeant Henry James Nicholas VC MM (Canterbury Regiment) is killed near Beaudigniesa when a German patrol charges into his post on a flank guarding a bridge over the River Ecaillon. He is killed by heavy gun fire at age 27. He was awarded the Victoria Cross for actions performed on 3rd December 1917. Corporal Harry Francis Gully (South Staffordshire Regiment) is killed in action at age 21. His brother was killed in November 1917. Private Percy Benwell (Welsh Regiment) is killed in action at age 24. His older brother was killed in March 1917. Private Charles D B Mowat (Argyll and Sutherland Highlanders) dies of wounds at Selle. His brother was killed in August of last year. Driver Patrick Ahern (Royal Engineers) dies on service at Ramleh. His mother will die of wounds received 31st March 1941 during an air raid on Stirling at age 80. Worker Rose Cotton (Queen Mary’s Army Auxiliary Corps) dies on service at age 26. Her brother was killed in action in 1916. Rifleman Bernard William King (King’s Royal Rifle Corps) is killed at age 30. He is the son of the Reverend William Templeton King Vicar of Christ Church Ealing London. Private Ernest Harold Lane (Shropshire Light Infantry) is killed in action. His brother was killed earlier this year. Private James Murray (Royal Scots) is killed at age 22. He is the last of three brothers who are killed over a three-year time frame. Gunner Arnold Alexander Macully (Australian Field Artillery) is killed at age 24. He is the son of the Reverend Alexander Macully Vicar of Brighton South Australia. 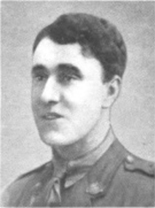 Captain Vivian Telfer Pemberton MC (Royal Garrison Artillery) is killed in action at age 24. His brother was killed in December 1914. He wrote the following poem called War Meditations. ‘When you get to your O.P. and find you’ve worked your factors wrong. For home, a dog, or wife to call your own. Major (Acting Lieutenant Colonel) Leonard Montague Greenwood DSO MC (commanding 13th Durham Light Infantry) is killed at age 25. He is the son of the Reverend Thomas Greenwood. Captain Laurence Hilton Hopkins (Cambridgeshire Regiment) is killed at age 26. He is the son of the Reverend George Hanslip Hopkins Rector of Chigwell Row. Second Lieutenant Albert Lockwood (Royal Garrison Artillery) is killed at age 26. He is the son of Alderman H Lockwood JP. Bombardier Thomas George Herweg (1st Australian Field Artillery) is killed at age 22. His brother died in Cairo in September 1915.